Ok, this is a hard one! You’ll be pleased to hear that I think you have a pretty good profile. 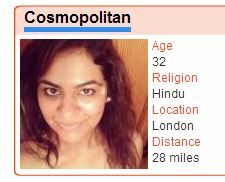 You look good in your photos and have clearly taken the time to write an interesting profile. I can see you are getting a lot of interest, so something is clearly working. You also have a great username! 1) You have a good selection of photos, but some of them are quite dark/blurry when you look at your album. 2) You say you enjoy all those activities, but there is no evidence of this in your photos. Perhaps add one or two of you taking part in them, to give the album more fun and variety. 3) You come across as a bit of a “tough cookie” That’s not necessarily a bad thing, but you could try softening it a little. At the moment you sound very strong minded and masculine. 4) Write more about the person you’d like to meet. It’s quite generic at the moment and could apply to lots of people. You need to write something that resonates with your Mr Right! 5) No need to write things like “If you would like to read further” as it’s just extra padding. It’s always better to focus on selling yourself rather than pointing out obvious things. If you would like to have your profile reviewed and featured, then please email your request to [email protected] We’ll pick the best one each month and get our leading Dating Expert James Preece to offer you his advice on how to make it better in this blog. 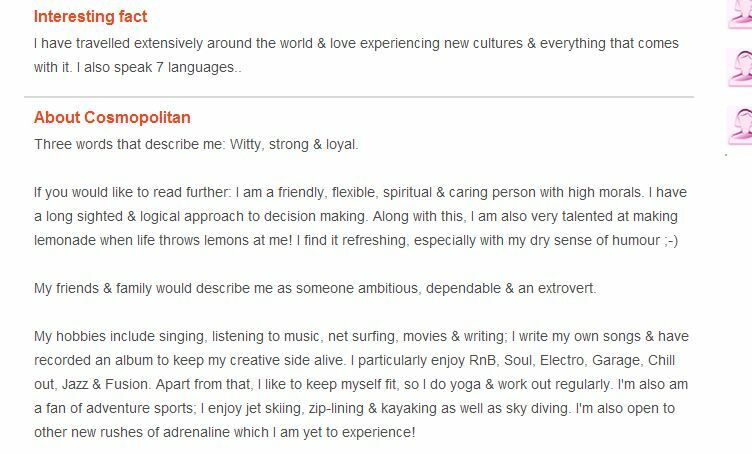 This entry was posted on Monday, September 23rd, 2013 at 11:26 am	and is filed under Dating Profile Review. You can follow any responses to this entry through the RSS 2.0 feed. You can skip to the end and leave a response. Pinging is currently not allowed.